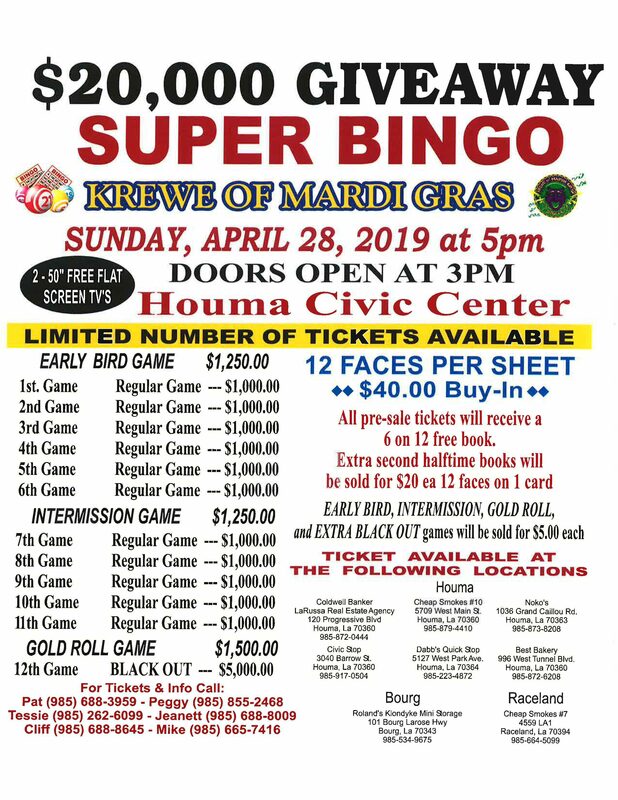 $20,000 Giveaway Super Bingo Krewe of Mardi Gras Sunday, April 28, 2019, at 5:00 p.m. Doors are scheduled to open at 3:00 p.m. LIMITED NUMBER OF TICKETS AVAILABLE For tickets and information call 985-688-3959. Sunday, April 28, 2019, at 5:00 p.m. Doors are scheduled to open at 3:00 p.m.
For tickets and information call 985-688-3959.